When you diffuse, please keep in mind that you should always diffuse for a purpose and for short periods of time. Why Diffuse Instead of Using Topically? How long can I safely diffuse & What diffuser do you recommend? Why Can I Barley Smell The Scent Coming From the Jasmine Diffuser? What about diffusing for scent? Can I diffuse to get rid of bad smells in my home? How many drops of oil should I use in my diffuser? Do I dilute my oils before adding to my diffuser? Do I Need to Dump My Water Out After Each Use? How do I diffuse in a wax warmer? Can I Add Essential Oils to my Humidifier? What about diffusing in the car? Diffusing in Public: It is never a good idea to diffuse in a public place for any reason. * Why Diffuse Instead of Using Topically? Typically unless you are dealing with a skin or muscle issues inhalation is going to be the most effective way to use your essential oils. This means diffusing or using a personal aromatherapy inhaler is going to be the most effective. Please see our Inhaling Essential Oils page for more info on the benefits of inhalation. Please see our Personal Aromatherapy Inhaler page for more info on inhalers. * How Long Should I Diffuse? Having a diffuser with the proper interval setting is important so you can get the most benefits from diffusing. However, there are very few diffusers on the market which have those settings. Our favorite diffuser is the Jasmine as it has a 10 minute on – 20-minute offsetting which allows you to safely and effectively run your diffuser for longer periods of times, such as overnight. The Jasmine's small size and variety of colors are perfect for any space. You can buy the Jasmine from Amazon. If you do not have a diffuser with a proper interval feature like the Jasmine, we recommend diffusing only for short periods of time. Research has shown diffusing for long periods of time doesn't add extra benefits. It's a waste of essential oils and our body responds better when exposed in shorter intervals. Studies have been done on diffusing oils. There is a curve which shows that the effectiveness goes up as you approach 30-45 mins. After that, the curve peaks and then starts to go down. So, you are overloading your system after 30-45 mins and your system not only stops responding to the therapeutic value of the oils, but the effectiveness goes down…after too long, down to zero. Robert Tisserand provides this in his Therapeutic Foundations class. *Why Can I Barley Smell The Scent Coming From the Jasmine Diffuser? * What about diffusing for scent? Please keep in mind that oils are not just for scent and do have safety issues and therapeutic properties regardless of how they are used, so you have to be certain that when diffusing you are using oils which are safe for your situation and only diffuse for short periods of time. For instance, one could diffuse energizing essential oils in the morning which also provide a pleasant aroma. * What about diffusing to get rid of bad smells in my home? All essential oils will help to cover a bad smell, but some such as tea tree and lemon may help a bit more. However, they are not going to remove the smell, so you need to get to the source or cause of the bad smell and clean the area, surface, etc. to get rid of the smell. 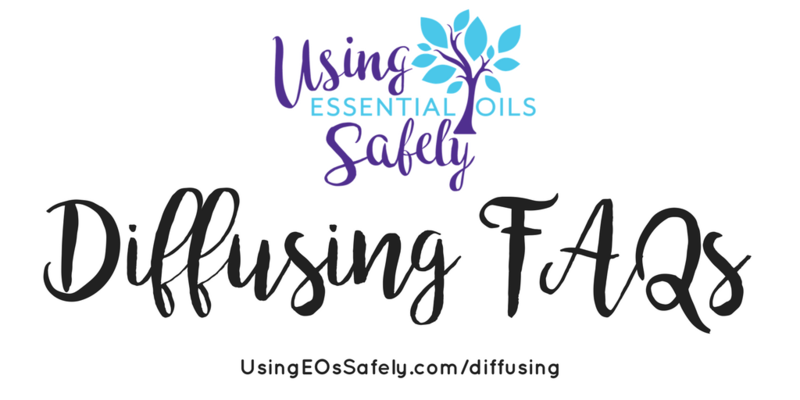 Just with diffusing for anything else you still need to put safety first and only use oils which are safe for your situation and only diffuse for short periods of time. * How Many Drops of Oil Do I Add to My Diffuser? That depends on your diffuser, so please read through the instructions which came with your diffuser to see how many are suggested. Typically it can be anywhere from 2-10, but that also depends on how strong you want the scent to be. Always start with less and add more if needed. * Do My Oils Need to Be Diluted Before Diffusing? No, diluting oils with a carrier oils is for topical use and you do not want to add any carrier to your diffuser or add a blend which is prediluted as carrier oils may clog your diffuser and possibly even ruin it. * Do I Need to Dump My Water Out After Each Use? It depends….if you are going to be diffusing again later that same day or even the next day there is no reason to dump the water out of your diffuser. If it is going to be several days before you diffuse again then you probably will want to dump and wipe out your diffuser. Even when changing to a new blend I often don't dump out the water unless it is a completely opposite type of blend such as going from a sleep blend to an energizing blend. Even if a bit of the scent of the previous blend lingers it doesn't seem to affect the scent of the new blend. If you know that you are not going to be using a particular oil or blend very long then don't fill your diffuser up all the way. Using less water will mean less waste of oils if you feel the need to dump the water out. * How Do I Clean My Diffuser? Honestly, it is really not necessary to clean your diffuser on a regular basis. Even if your diffuser smells like the previous oils or blend which you used it is unlikely that when adding fresh water and new oils to your diffuser that you are going to smell the scent left in the diffuser. I diffuse a lot of minty type blends so my diffuser smells minty, but when using fresh water and a non-minty blend I can't smell the mint at all when the new blend is being diffused. If you do need to clean out your diffuser, first you need to look at the directions from the manufacturer of your diffuser to see what they suggest using. Many will suggest white vinegar which you can either add to the diffuser and leave sit for a time, then dump the vinegar and rinse with clean water. Sometimes all it takes is wiping the diffuser down with a soft cloth or gently using a Q-tip in the little round area at the bottom which many diffusers such as the Jasmine has. * What about Nebulizing Diffusers? So, this is why the only diffuser which we recommend is the Jasmine. * How do I diffuse in a wax warmer? You can add several drops, along with water, to the wax warmer. You can also add essential oils to the top of the wax warmer if the aromas mix well. Water will evaporate more quickly than the wax, so keep an eye out for that, or replace water with a carrier oil. * Can I Add Essential Oils to my Humidifier? * What about diffusing in the car? You need to be careful when diffusing in such a small enclosed space, but there are diffusers made for cars, but the same general guidelines apply. Don't let the diffuser run for long periods of time and you will want to use only a few drops as to not have the scent be too strong. It would also be a good idea to be sure that you are running the vent, air or heat as to keep the air circulating in the space. As always, be certain you are only using oils which are safe for your situation and those who may be in the vehicle with you. 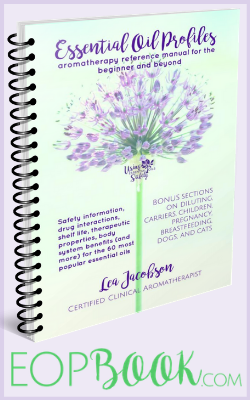 When diffusing you need to always be certain that the oils which you have chosen are going to be safe for your situation, there are oils which are not safe for babies & children, pregnancy & nursing, pets of all types, and are contraindicated with certain meds & certain health conditions. This is why it is never a good idea to diffuse in a public place such as schools, offices, stores, or even in your home if you are having company. You must know the safety issues of the oils you are using and not risk putting others in danger by diffusing something which could cause them an adverse reaction. Also, generally speaking, how much is too much essential oil? I have some pimples, so I want to use topically, while also diffusing for my allergies and often get headaches (I’ve found that peppermint works for me). Can I topically use Tea Tree on my pimples, topically use Peppermint for my headaches and diffuse lavender/Tea Tree for my allergies all at the same time?